What is a story you’ve held onto, that is no longer serving you about your body and beauty? 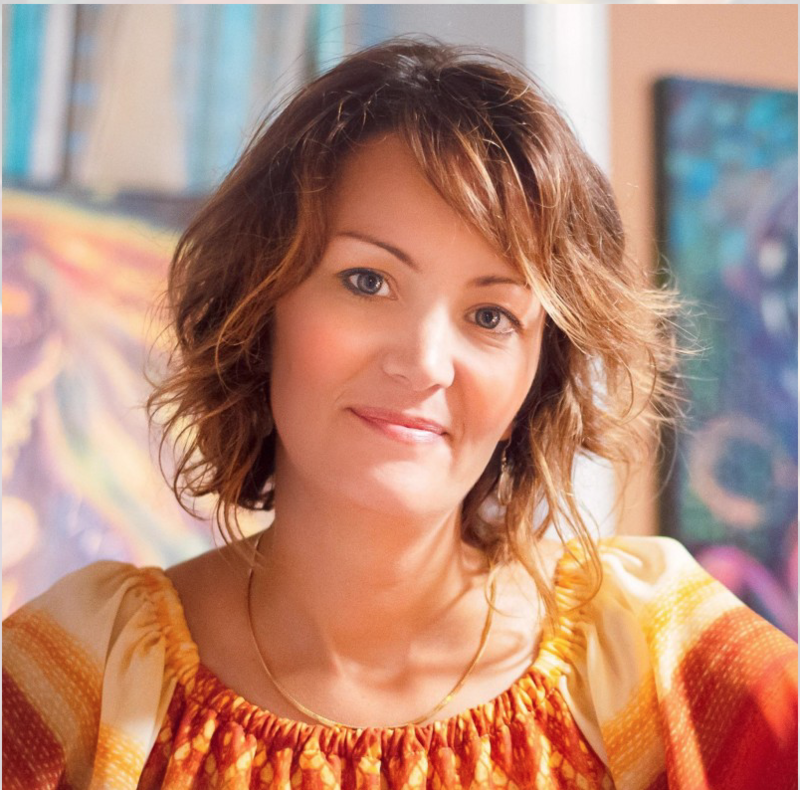 With this potent question came Ally Markotich’s vision to introduce an Intentional Creativity process to a community of intergenerational women. 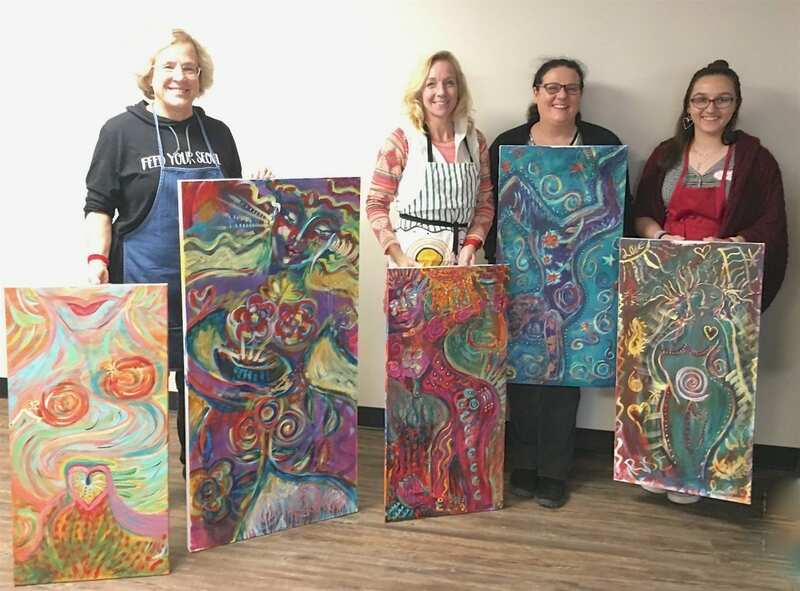 So it was, that this powerful group of women came together for Ally’s Body Embrace Workshop. Attendees ranged in age from 14 to over 60, including a mother and daughter, all ready and hungry to explore their narratives around body & beauty. Each person wrote an intention to hold for themselves, and the level of sharing during the circle was intimate and deep. This work is about the process, not the end result. 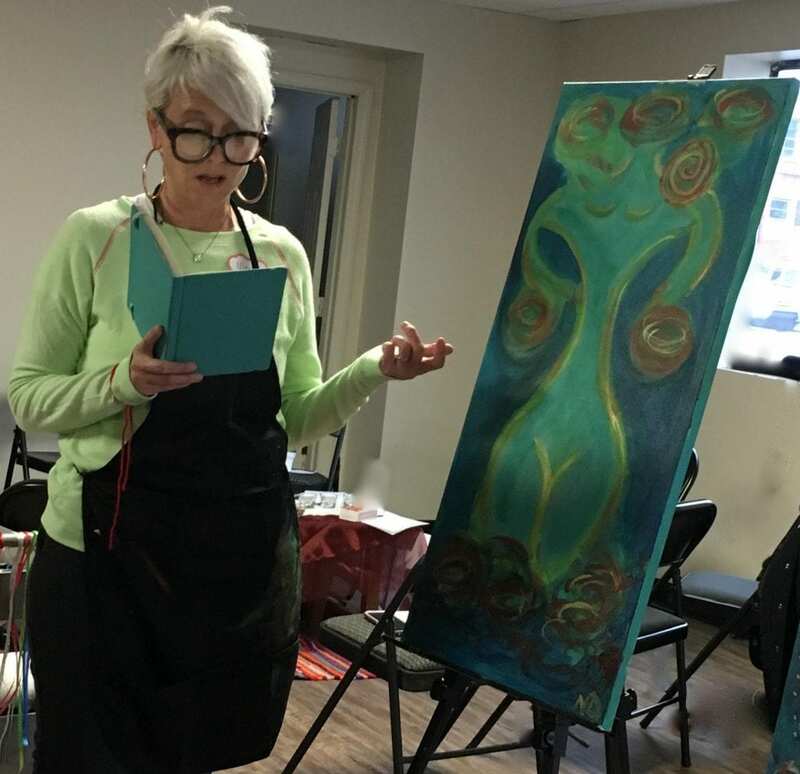 Ally explains, how part of her job as a Color of Woman Teacher is to help guide students to recognize the voices of the Muse and the Inner Critic. Activating the voice of the Muse, helps diminish the voice of the inner critic. 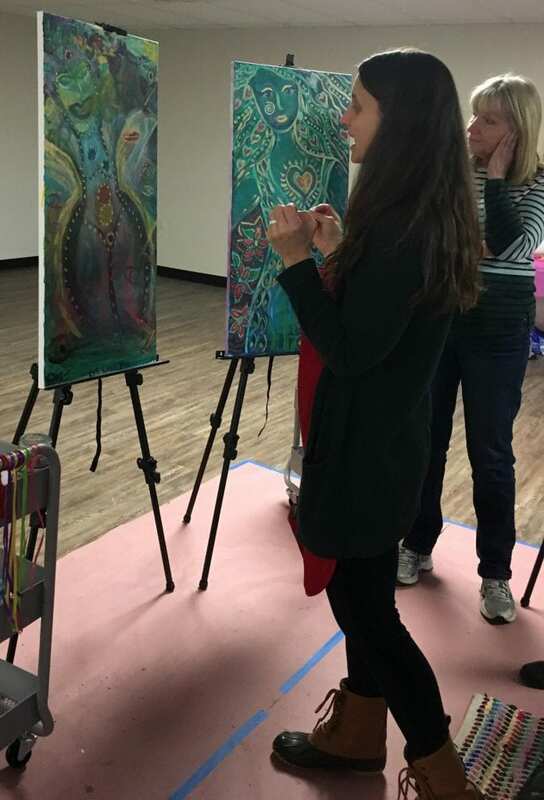 A gallery style walk in closing, allowed each person the space to speak powerfully about their creations and what they were awakened to after connecting deeply with themselves through this work. I feel incredibly honored to be doing this work in the world. 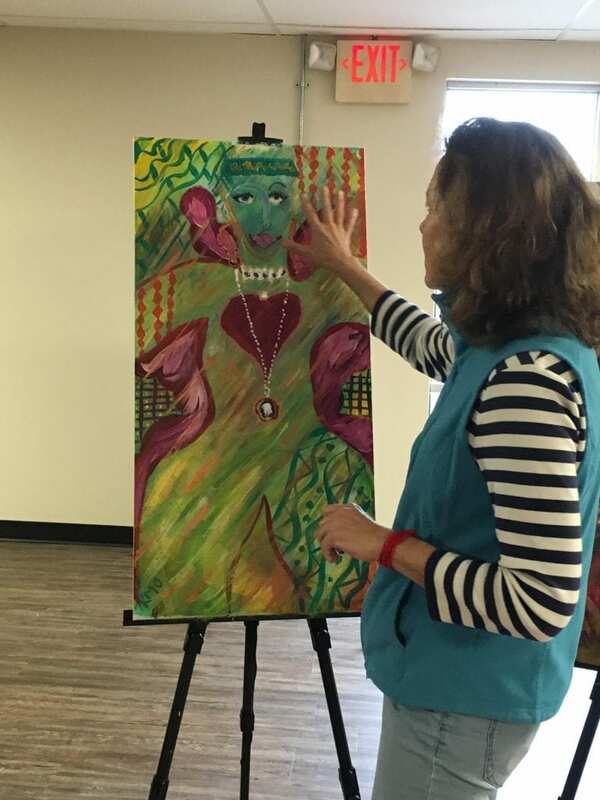 I’m very grateful to be able to share Intentional Creativity in the community where I live. I firmly believe this is revolutionary and very needed for all the weight people carry.